Kieron puts them on and realises he can see not what is front of him, but a busy, tourist city, somewhere very hot - in Mumbai...Kieron has accidentally stumbled upon the undercover world of Rebecca 'Bex' Wilson - a freelance agent working for the British Secret Intelligence Serv... read full description below. 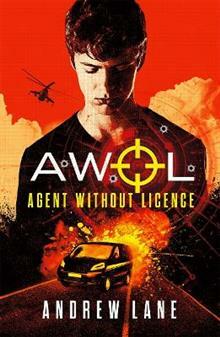 Young Bond and James Bond meet Alex Rider and Cherub in this brilliantly written, fast-paced spy action thriller. All credibly delivered from somebody who knows all about counter-intelligence...Kieron and his friend Sam are shocked to see a man kidnapped in a Newcastle shopping centre right in front of their eyes. The boys quickly realise that the kidnapped man left something behind in the scuffle - an earpiece and glasses. Kieron puts them on and realises he can see not what is front of him, but a busy, tourist city, somewhere very hot - in Mumbai...Kieron has accidentally stumbled upon the undercover world of Rebecca 'Bex' Wilson - a freelance agent working for the British Secret Intelligence Service. And without her handler Bradley (the man who was kidnapped), Bex is in trouble. She doesn't know who of her usual contacts she can trust, and like it or not, she is going to have to use teenage Kieron to get her out of danger. Before Kieron and Sam know it, they are part of a mission to stop a weapon of mass destruction from falling into the wrong hands...High-octane action and fast-paced adventure - guaranteed.